Today’s competitive environment has led to a plethora of new development methodologies, often making life difficult for decision-makers. What’s the best way to go about things? We are here to help with the Continuous Integration vs Delivery vs Deployment debate, which has become extremely popular today. The main issue while selecting the right method for your needs is lack of knowhow. The differences between the three strategies can be confusing even to the most tech-savvy professionals. But there are some important distinctions that have to be taken into consideration before making a choice. Before we start comparing the three methodologies, it’s important to get familiar with what they are all about and what they bring to the table. Continuous Integration (CI) - Developers practicing CI merge their changes back to the main branch as often as possible. The developer's changes are validated by creating a build and running automated tests against the build. There is no waiting for “release day” like in old times. Continuous Delivery – Continuous Delivery helps make sure that you can release new changes to your customers quickly and consistently. This means that besides automated testing, you also have automated your release process and you can deploy at any point of time by just clicking on a button. Continuous Deployment (CD) – CD is basically an upgraded version of Continuous Delivery. Every change that passes your production pipeline is released to your customers with no human intervention whatsoever. Only a failed test can prevent a new change to be deployed to production. Declaring a winner in this DevOps battle is tough. But there are definitely some unique inherited characteristics that each methodology possesses. Your team will need to develop automated tests for each new feature or bug fix. Also, your developers will need to merge their changes on a daily basis. You need a continuous integration server that can monitor the main repository and run the tests automatically for every new commit that is pushed. 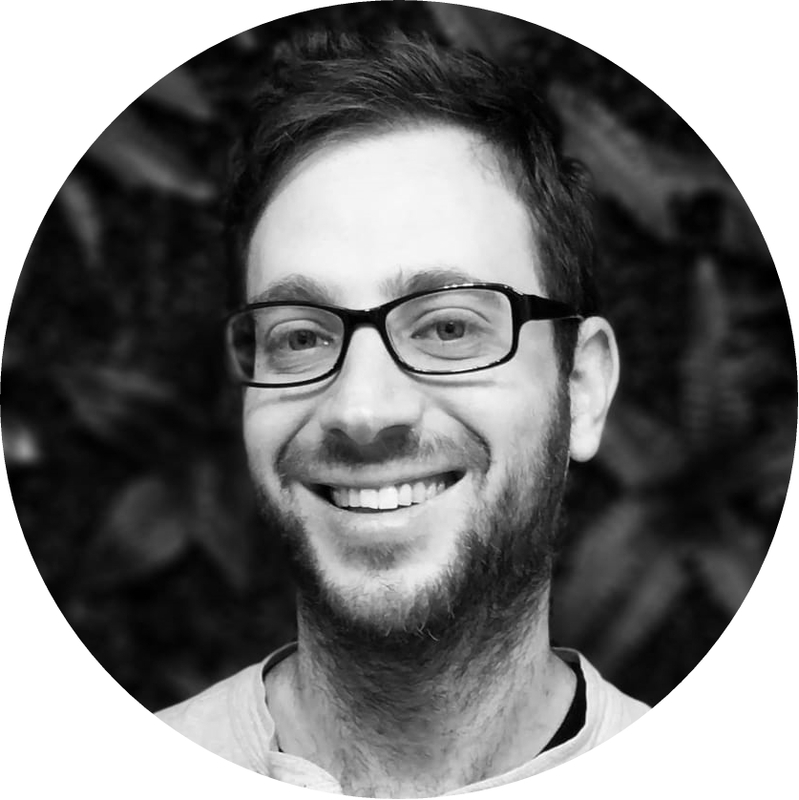 Lesser bugs get shipped to production as regressions are captured early by the automated tests. Less context switching as developers are alerted as soon as they break the build and can solve issues faster. Testing costs are reduced drastically and your QA team can focus on other things. Your test suite will need to cover enough of your codebase. Deployments need to be automated. The trigger is still manual but human intervention won’t be needed once a deployment is initiated. Feature flags must be addressed to stop incomplete features affecting customers in production. Gone will be the problems encountered while deploying software. Your team no longer needs to waste time preparing for releases. You can release more often, thus accelerating the feedback loop with your customers. There is much less pressure on decisions for small changes, hence encouraging faster iterating. and 3x lower change failure rate. 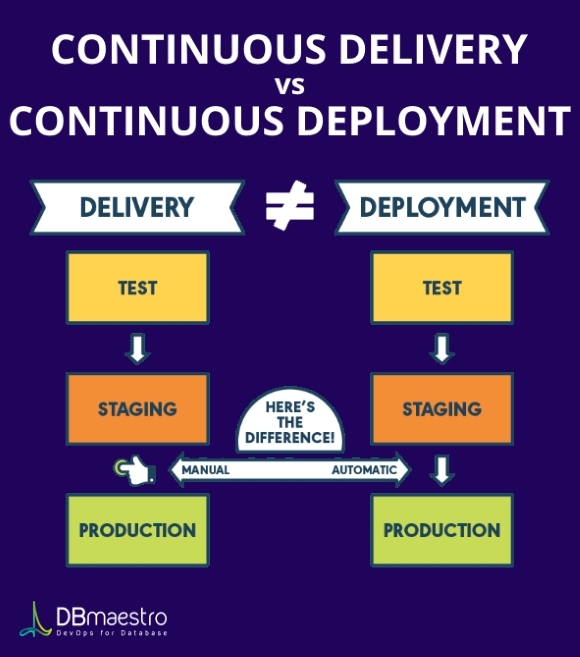 In a nutshell, Continuous Deployment (CD) takes Continuous Delivery to the next level by automating the stage between the staging and production. Your will need to educate your teams and instill a healthy testing culture within your organization. The quality of your test suite will eventually determine the quality of your releases. Your documentation processes should be in sync with deployments and feature flags need to be communicated to other departments. Development times will be shorter as there's no need to pause development for releases. Deployments pipelines will be triggered automatically for every change. Releases will become less riskier and easier to fix as only small batches of changes are deployed. Customers will notice more frequent improvements. There are 3 main benefits of embracing this hybrid methodology, besides the obvious faster time to market and better feature implementation or upgrading. Improved Testability - Testability improves with CI/CD because the changes are smaller and more specific. These smaller changes allow more accurate positive and negative tests. Elapsed time to detect and correct production escapes is shorter with faster release rates. Better Code Integrity - Smaller code changes are more atomic (simpler) and have fewer unintended consequences. In other words, upgrades and changes introduce smaller units of change and are less disruptive. This results in fewer bugs and better customer satisfaction. Shorter Mean Time to Resolution (MTTR) - Fault isolation is improved. Elapsed time to detect and correct production escapes is shorter with a faster rate of release. The backlog of non-critical defects is lower, meaning there is much lesser stress on QA and dev teams. But that's not everything. End-user (client) involvement and feedback in real time during continuous development leads to significant usability improvements. By adopting the CI/CD methodology, you can add new requirements based on your customer’s needs on a daily basis, which is great for business. 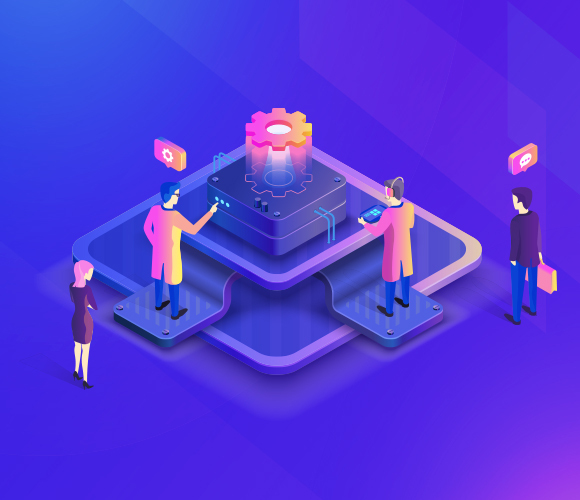 Now that we have established the importance of embracing the CI/CD approach to tackle the challenges of DevOps, it's also crucial to understand the benefits of automating this process. It's no coincidence that database automation release tools are becoming the norm today. If such release automation tools are not implemented, you may encounter broken deployments. Once a release is broken, failures originating in the database can be much more difficult to detect, let alone fix. Downtimes in today’s dynamic environment can amount to astronomic losses. You can pick from a wide range of open source tools to get the job done,but there is always the risk of poor customer support, buggy software and zero training/educational services from the vendor. Commercial tools are proving to be the better option when it comes to automating your deployments. Continuous Integration vs Delivery vs Deployment - No matter where you stand regarding this debate, only a proactive approach with a comprehensive release automation tool can help you stay ahead of the curve and keep your customers satisfied at all times with zero downtime or hiccups. Get started now!